I write to heal the wounds deep within my soul, and I put it out there for the world to read in hopes to provide support to those in need! Slowly over time victims of domestic violence lose their voice. Victims are unable to speak up for fear that they will be beaten or verbally assaulted. Their opinion no longer matters to their significant other. Often victims are unable to share any joy they may experience in life for fear that they will be physically or verbally attacked. As a survivor of domestic violence it is the most amazing feeling to finally speak out, and actually be heard by someone. 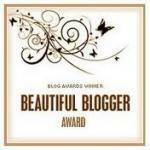 I want to give a BIG thank you to Mitten’s Kittens Blog this award truly means the world to me in more ways than one! You not only made me one HAPPY lady, but you are also helping to spread awareness regarding one very important topic… THANK YOU!! 2. Attach the icon to your site. – Your favorite pattern? – If it’s black and white I’ll LOVE it! – Your favorite number? – zero or maybe 8 because if you knock it down you have the infinity symbol. – Your favorite day of the week? – Friday or Saturday, and I’m so happy that they are just around the corner! – Your favorite flower? – I LOVE the bright beautiful colors of snapdragons and Gerber Daisies. – What is your passion? – I LOVE to dance! – Do you watch television? Television wastes your time and money, but I do enjoy watching a good flick once in awhile. – Who is your favourite author? 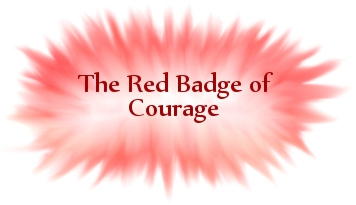 If you’re looking for something in regards to domestic violence Lundy Bancroft is amazing! – What social issue bothers you? The pure fact that there are social issues… Can’t we all just get along? – How do you like your eggs? Quiche, souffle, or scrambled until I’m absolutely sure that they are DEAD! 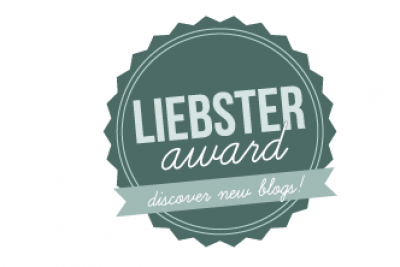 – Why do like to blog? I love writing, and I enjoy the interaction and rapport with others. “They” often say that if you want something you should eat it, think it, and make it happen throughout each waking day. Spread your message to the world around you in hopes that someone may be listening. I want the world to know what it is like to be in an abusive relationship, why it is difficult to get out, the emotional wreckage left behind, and eventually how to pick yourself up, dust yourself off, and continue with grace and beauty… I’m still working on that one, LOL! The more we as a society choose to speak up, the better understanding we’ll have of domestic violence. Which hopefully in turn our education will bring forth a brighter tomorrow with little to ZERO violence. 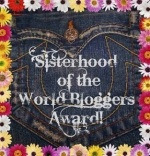 That being said… I am greatly honored that Seasons of Insanity nominated me for Sisterhood of the World Blogger Award. I’m also excited to hear that he will be publishing the Zombie Journals, and I hope that he will follow up with a post regarding the process of putting things into production… because I too hope to someday publish my work and spread awareness. 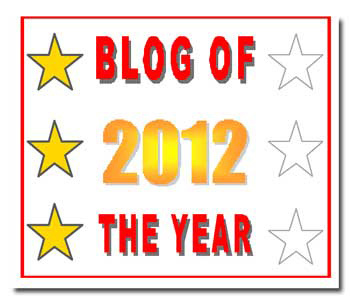 A BIG thanks, one bear hug, and remember my friendship is just a blog away!! 2. Your favorite animal – My favorite domesticated animal is a dog. Otherwise I love seeing the big cats at the zoo. 6. Do you prefer getting or giving presents? – Both are exciting, especially if you pick the perfect gift for someone else. 7. Your favorite number? – I can’t even pretend to like one individual number. 9. Your favorite flower? – An enchanted stroll through a Japanese cherry blossom garden. 10. What is your passion? Outdoor activities, creative anything, and yummy asian food! The leaves were changing colors to various hues of red, orange, and yellow. The air was crisp, and the month was October. It was exactly three years ago that I called the police, packed one single bag for my infant child and I, and escaped the clutches of my ex-husband. Ironically I left during Domestic Violence Awareness Month, and strangely I began writing this blog during the month of October. For me this is a form of therapy that helps me share, reflect, and try to put things behind me with the love and support of those around me (including my fabulous blogger friends!!) I also share my personal stories in hopes to educate others on domestic violence, and provide support for those who have survived the wreckage of an abusive relationship. 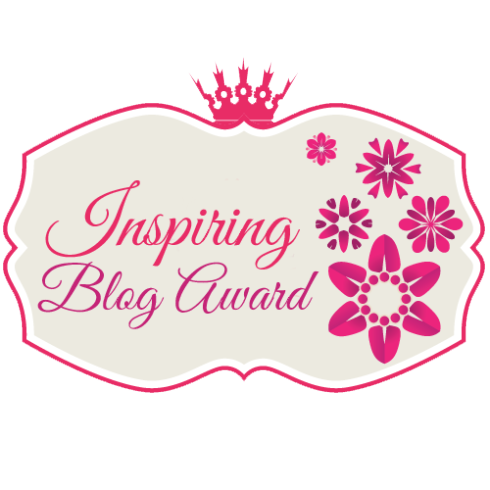 I never imagined that a short month or two later I would be nominated for an Inspiring Blogger Award. I would like to give a big thank you to Jo and Aaron at http://overtheedgeofthewild.wordpress.com/ Their blog is titled Over The Edge Of The wild, and each post unfolds a chapter of Jo and Aaron’s adventures around the world. I am currently living vicariously through this couple, and I am enjoying every twist and turn they take me on. 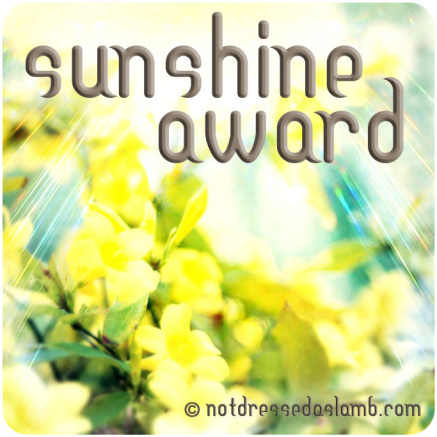 Thanks again… this nomination means the world to me, and my efforts to fight domestic violence!! 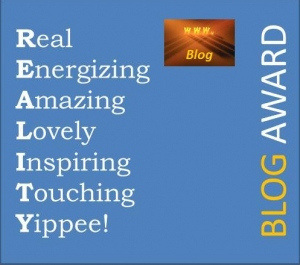 The way the award works is that I now have to provide seven random facts about myself, and then nominate seven other blogs for the award. This first part is all about ME! 1) My fondest childhood memories took place at the wooden park, and catching tadpoles at the nearby creek. 2) I absolutely LOVE Shel Silverstein, and to this day I can still recite his poem Sick. 4) Upon first meeting me I may come across as a very shy individual, but out on the dance floor I will prove otherwise. 5) I am a hopeless romantic that still treasures love letters from my high school sweetheart. 6) I have jumped out of a perfectly good airplane, and I would do it again! 7) I HOPE that you will click “Like” and Reblog to help educate others about domestic violence, spread awareness, and provide support! I included one blog for good luck! It appears that Lift Up Your Voice Speak Out is in the beginning phases of production. I wanted to offer my support and personal stories as HOPE for a brighter tomorrow. One short week after I started my blog I received a comment that truly left me speechless! 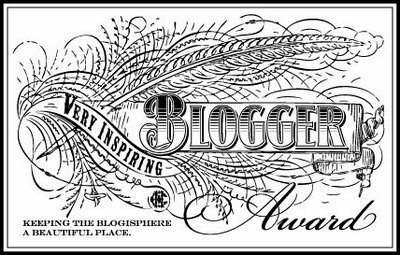 Rose Chimera’s Rantings http://rosechimera.wordpress.com/ nominated me for the Beautiful Blogger Award. I was truly touched by this little act of sentiment and kindness. Big hugs, thanks a bunch, you left a glowing smile on my face! Domestic violence is an important topic that is often swept under the rug. I’m trying to shed a little light on the subject through personal stories and experiences. 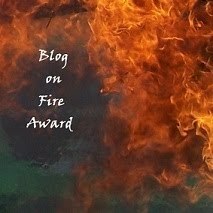 I hope that others will continue to flock to my blog for emotional safety, support and a chance to share their own story! 1. 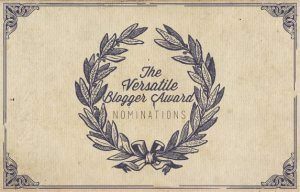 Thank the blogger who nominated you! 2. 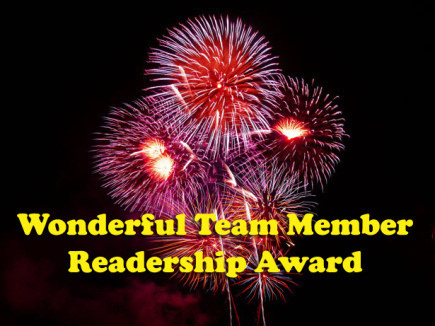 Attach the award to your site. 3. Share seven random facts about yourself.